Review: What Would Mary Berry Do? 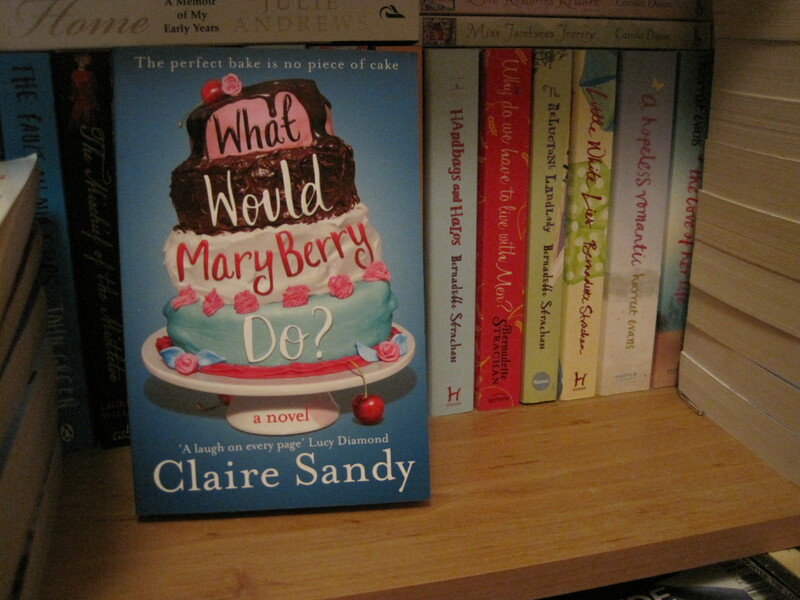 Out today (that’s Thursday 31st July) is this great chick-lit novel by Claire Sandy. If you’re a Great British Bake-Off fan, this may be the book for you if you’re getting panicky before the start of the new series next week. And if you’re not a baker or a cook, What Would Mary Berry Do? may still be the beach book for you this summer. I loved the cast of characters in this book – the Dunwoody family are a hoot and there’s a set of fully rounded supporting characters too, I particularly loved Marie’s employees at her dental surgery. The different strands of the plot work very well – and whilst I was frequently laughing, I also had a tear in my eye at one point too. You don’t have to be into making your own baked goods to enjoy either – the plot and characters are engaging enough to interest people who don’t know their Croquembouche from their Crème Anglaise. The blurb says it’s ideal for fans of Jenny Colgan and I’d agree with that – but I’d also add that fans of Trisha Ashley and Alexandra Brown would probably enjoy this one too – and anyone who likes their chick lit with a dose of humour. And as Claire Sandy is a pen name for the fabulous Bernadette Strachan, if you haven’t read any of her work, can I point you in the direction of my favourite of hers – The Reluctant Landlady – where you’ll find loveable characters (Bing! Bernard! ), a great plot, lots of humour but a bit less baking. I’m hoping you’ll be able to get hold of a copy of What Would Mary Berry Do at all good bookshops, but in case you can’t get to an actual shop, here it is on Foyles website and Kindle. I’m hoping it will do really well – it’s my favourite book I’ve read this month. I actually bought a copy of this today as part of a birthday present…. then I was a bit concerned at the language on the back of the cover. Wondered if I should be giving this book, not having read it first. After all, there is my reputation to consider! Now you have given me the perfect reason to keep it, read it myself and form my own judgement!